Paul Menard and the No. 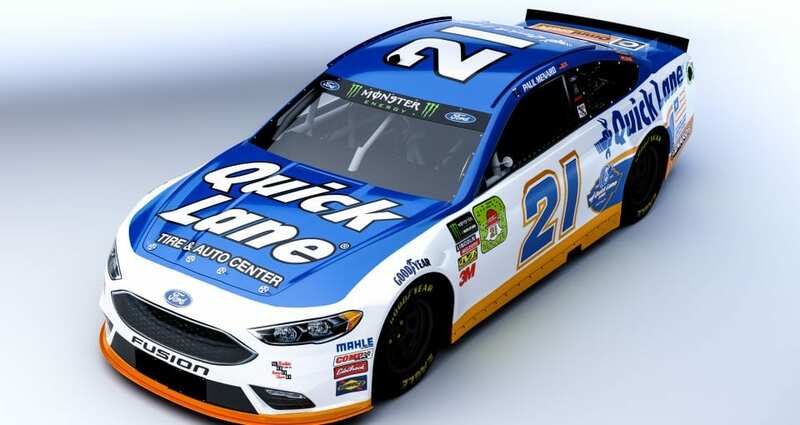 21 Quick Lane team will close out the 2018 season in the Ford 400 at one of Menard’s favorite tracks, Homestead-Miami Speedway. Sunday’s 400-miler is the third race in the Ford Championship Weekend, which will determine the champions of NASCAR’s top three divisions – Monster Energy Cup, Xfinity and Camping World Truck series. Menard said Homestead’s progressively-banked, 1.5-mile oval suits him just fine. He said he likes the way the track changes during the race as daylight fades to darkness. “It’s really wide, so you can fan out and run right next to the wall when the sun’s out,” he said. Menard and the team will be racing for the first time since the death of David Pearson, the iconic driver of the No. 21 back in the 1970s. “He was a true legend of the sport and a long-time driver for the Wood Brothers,” Menard said. The Ford 400 also marks the end of Menard’s first season aboard the No. 21 Fusion. He said it’s been a year of ups and downs, but he’s encouraged about the future as he heads into the offseason. Qualifying for the Ford 400 is set for Friday at 6:10 p.m. Eastern Time with TV coverage on NBCSN, and the race is scheduled to start just after 2:30 p.m. on Sunday with the broadcast on NBC.